Take remote control of your Mac with this handy app. This post is presented by Remote for Mac. Your Mac or MacBook is a modern media hub. It’s your source for movies, music, podcasts, games, apps and plenty more. But to use it, you’ve still got to walk up and tap at the keyboard and mouse. So in that sense, it’s like a step back to the bad old days of dialing in radio and TV stations. Remote for Mac adds the convenience that we expect from our devices in the 21st century. 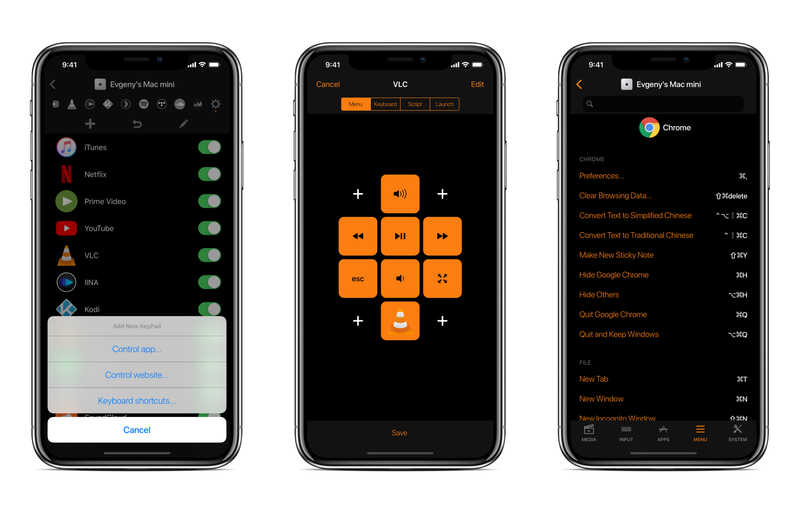 It turns your iPhone or iPad into a fully loaded remote control for all kinds of functions on your Mac. It brings full trackpad and keyboard control to your phone, so you can use your Mac without leaving the couch. After installing the app and connecting it to your Mac, you can easily launch and close apps, operate them using menu bar commands, and access system actions like Sleep, Restart or Display Off. You can open websites using Siri or control audio and display via AirPlay. With Remote for Mac, Siri also works for apps actions (like launching and quitting apps), system actions (restart, sleep, display off, etc. ), and even for custom actions (defined with AppleScript). This makes it easy to integrate your Mac into your smart home environment using the powerful new Siri Shortcuts feature. 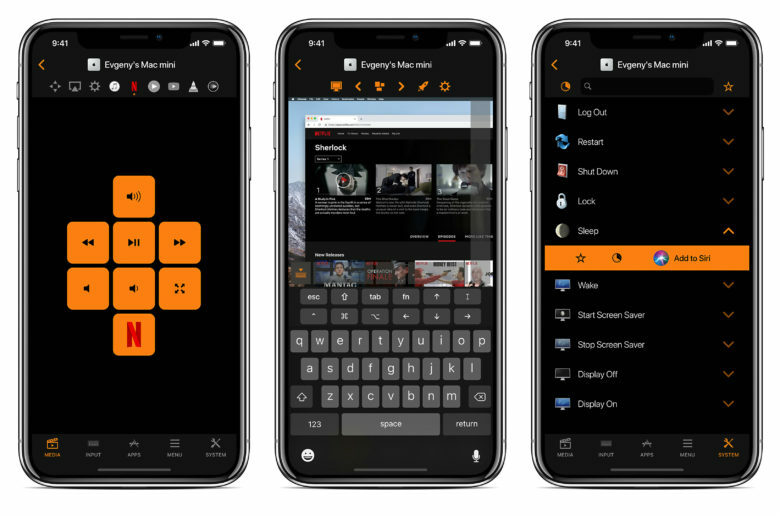 The built-in remote control pads make Mac-based media players feel native on the iPhone. Plus, you can create custom control pads for any app or web service. It’s even possible to use the iOS device’s Personal Hotspot to control the Mac when there’s no other network available. The straightforward, clear interfaces make the most of iPhone or iPad touchscreens, with a satisfyingly simple, elegant sense of design. Even the on-screen mouse and keyboard prove surprisingly intuitive, feeling like an extension of the Mac. Through AirPlay Mirroring and Apple TV, you can use this remote no matter where the target Mac is located. Or, you can download Mac Helper to connect your Mac and iOS device over the same Wi-Fi. From there, you’ll walk through the easy setup, which consists of just a few steps and takes about 30 seconds. Get under the hood of your Mac and dig deep within apps. The possible uses for this kind of software are essentially endless. Whether you are emceeing a house party, giving a presentation, working a job that keeps you on your feet or just watching TV on your Mac, Remote for Mac makes things simpler. It’s little surprise this app earned an impressive 4.6 out of 5 rating on the App Store. It’s also a more affordable option than buying a dedicated remote. A Siri Remote for Apple TV goes for about 60 bucks, while even the standard Apple Remote runs about $20. Remote for Mac costs just $9.99. For the utility it opens up on devices you already own, that’s well worth the money.